This year’s IPA Day is today, August 2, 2012. Getting involved is easy; the only requirements are an appreciation for great beer and the will to spread the word. Anyone can participate by enjoying IPA with friends, making some noise online with the #IPADay hashtag, and showing the world that craft beer is more than a trend. 1. Share your photos, videos, blog posts, tasting notes, recipes, and thoughts with the world. Be sure to tag your posts on Twitter, Instagram, Facebook, Pinterest, Google+, and other social media platforms with #IPADay hashtag. 2. See what other people are saying on Twitter by searching “#IPADay” at: search.twitter.com. Follow the conversation closely by adding an #IPADay search column on your Tweetdeck. 3. Become a craft beer steward in your community. Encourage non-craft beer drinkers to take a break from their normal beverage routine and join the collective toast today. Set the goal of converting at least one person, if not the whole world of drinkers, into an IPA lover! 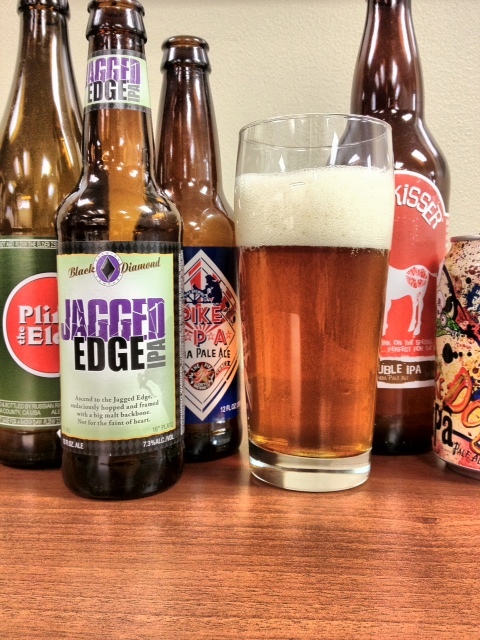 We have lots of delicious IPAs available – check them out here. Too bad you guys aren’t offering any discounts today like Whole Foods.. 20% off all IPA’s. Hi, Pete! We’ll definitely look into doing something for next year – thanks for the suggestion.